ShadeGrip was designed for woven and knitted shade cloths up to 1.2mm thickness. Applications include Pergolas, Patios, Gazebos, Shade houses and Shade enclosures. It also finds use in greenhouses and other horticultural applications. It can be attached to any supporting structure whether timber, metal or masonry. Unlike traditional methods using nails, battens, eyelets and ties that lack strength and can damage the fabric, ShadeGrip is a continuous fastening system and extremely strong. ShadeGrip is sold by retail hardware stores throughout Australia in 1.83m (6ft) lengths in six popular colours: Caufield Green, Doeskin, Wizard Blue, Slate Grey, Armour Grey and Mill. 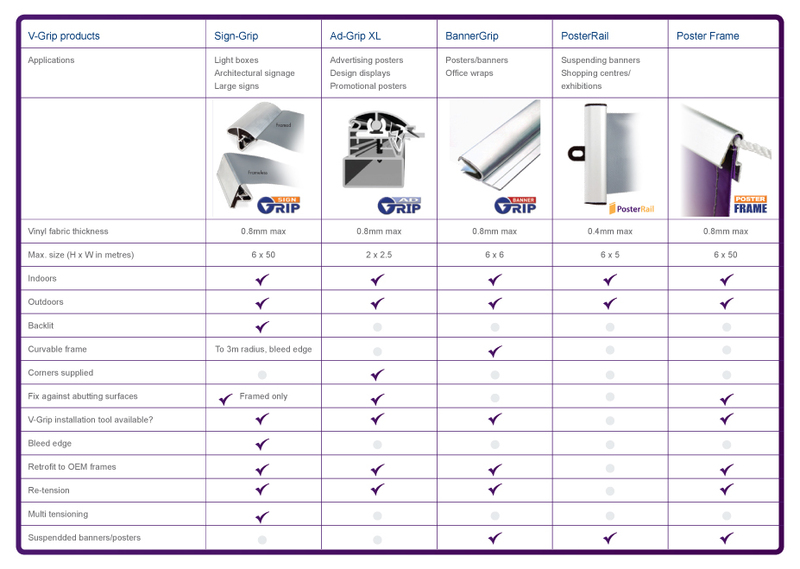 For a detailed technical information sheet on the installation of ShadeGrip® please click here to download the PDF file. Commercial ShadeGrip® V160 is suitable for a wider range of fabrics to include canvas and knitted heavy duty shadecloth up to 1.5mm thick. It works exactly the same as ShadeGrip and the same installation procedures can be employed. Commercial ShadeGrip V160 is available from Trade outlets, V-Grip Pty Ltd and by Online purchase. It is available in 3m lengths in Mill finish and 1.9m lengths in Mill, Caufield Green and Doeskin colours.